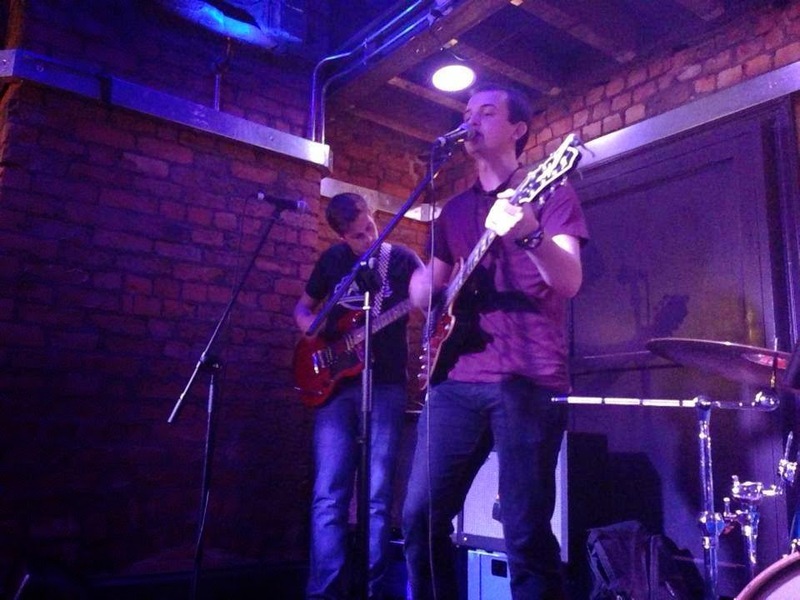 unZined is back continuing to promote local music in the North West. 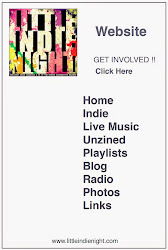 An offshoot of Little Indie Night, a night aimed at hosting what is becoming one of the best live music events in the Northwest, Halton Homegrown has been given free run to find local talent find out a bit more about what makes them tick and spread the word around. Local bands/artists with serious talent are sprouting fast around the area as we speak and Halton Homegrown's mission to make you aware of them and also encourage others to follow their lead. 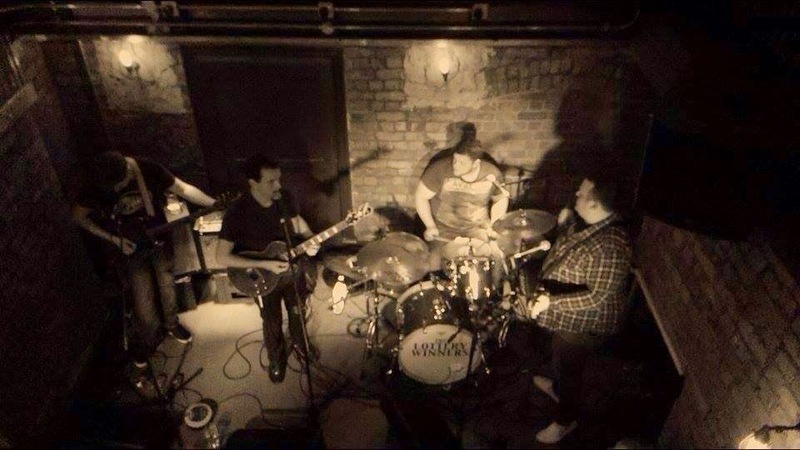 A relatively new band from Widnes, indie band The Six Thirties formed 18 months ago and are raring to perform for the masses in the North West. They already have upcoming gigs, one of them at the well renowned Zanzibar in Liverpool. They don't do things by halves and by aiming big and far afield they are sure to be well known in no time. From listening to their song Annoymous and Midlife Crisis, their sound is plentiful in riffage and up tempo drums. The clean guitar sound is very reminiscent of late 80s - 90s indie rock/pop at its best. The Housemartins spring to mind when listening to them as being a sound-a-like. Midlife Crisis is my fave so far, as it its upbeat and will surely enough get any crowd dancing at their gigs. If they keep up the vibe they have started off with in their future gigs they'll go far. I posed a few questions to them, and bassist Peter took some time to answer the questions as best as he could, on behalf of the band, to give us an insight as to what makes the band tick. Check out his answers below. Hi I'm Peter, bass player for The Six Thirties which also includes Greg on vocals and guitar, Sean our lead guitarist and last but not least Rob, our drummer. Why did you choose The Six Thirties as a band name? Is it a time of day special to the band maybe? It would be nice if we had a really interesting story about the name. But it's basically we used to practice at 18:30! We haven't thought of a good enough alternative story to tell people yet. How did you all meet and how did The Six Thirties form? About 18 months ago I put on Facebook I was interested in starting a band and a mutual friend of mine and Sean's tagged him in the status. We sort of knew each other already at that point so it wasn't too awkward. Then we just started jamming in my living room and a few weeks later he mentioned Greg, one of his old friends who had written some songs and fancied coming along. It all clicked and we just needed a drummer to take it further. I was already really good mates with Rob and asked him along. My neighbours probably didn't appreciate us testing out a drummer in my living room, but it was a free gig to them in my eyes. Probably Carrie, Robs wife, for letting him come and play with us on a regular basis! You put Oasis, Arctic Monkeys, and The Killers to name a few on your profile being bands you like and are possibly influenced by. What is it about these bands you like and what have you taken from them and incorporated into your own band? I think anybody in a band up north could probably list Oasis and Arctic Monkeys as an influence. The songs tend to be about things we can relate too and they are real working class bands. I think we have all taken things from these bands to be honest. Me, Sean and Rob would all list Arctic Monkeys as a massive influence in how we play in this band and although Greg might not list them as one of his biggest influences, his lyric writing for me, is up there with Alex Turner's who in my eyes is the best of our generation. For those who have not heard The Six Thirties yet, how would you describe your sound? I think we have all struggled with describing our sound. The other night we were called a mix between Arctic Monkeys and The Housemartins. Which to me can only be a compliment. What three words would you choose to describe The Six Thirties? We have clearly cheated here and hyphenated two separate words. But it was worth it! Who writes the songs in the band, what is the song writing process and what influences the lyrics? Originally, Greg came to us with lots of his own songs which were all great. Me, Sean and Rob then added our own parts and turned them from Greg's acoustic tunes into full blooded rock songs. Recently, we've written a few together which have started as just a riff or something that Sean might have come up with and then we've gone from there really, then Greg will write the lyrics. We've only had the one public gig so far. At the Eagle Inn, Salford. Playing on the same night as Just Kid and Wood Burning Savages who were both great. Absolutely brilliant little venue for anybody looking for a gig by the way. We couldn't have been luckier for our first gig really. We've played a few private parties too, it gives us a chance to play some covers that we all really like as well as trying out our own stuff live. Are you looking forward to any gigs later on in the year? Yeah, we are playing the Zanzibar in Liverpool on Friday 16th January. Should be a really good night, we've heard lots of good things about playing Zanzibar. Which of your songs is your favorite to play at gigs? I'd have to say Anonymous. Although we do have a new song called From The Get Go which we are using as our opener. It's really growing on me and catching up to Anonymous. So that might change soon! Well we are still relatively new ourselves so we are still following the same sort of advice. Choosing the right gigs to play is very important in my opinion. Bands local to us should also remember that with Liverpool and Manchester being so close, they are within a quick train journey to two of the most famous musical cities in the world, they should utilise that. Do The Six Thirties have any big plans for the future? We just want to keep enjoying what we are doing. We all love it. We are hopefully recording an EP in the new year and going to keep gigging when we can and see where that takes us. With no music video or even a live performance as they are only starting out, they've provided one of their practice videos with this message: "One of our songs. We only have live ones from practice at the minute. But bang some headphones on, turn it up and I'm sure you get the idea!"